Every visitor will discover something different on an Austin vacation. Some will find a potpourri of lively music clubs and funky folk-art boutiques. Others will be drawn to sweeping countryside vistas and an eclectic mix of museums. Book an Austin hotel and uncover the possibilities of this exciting city. ‘Keep Austin Weird’ is the Texas capital’s unofficial motto, and the city revels in its countercultural credentials. As such, you’ll find all the staples of hipster culture in abundance, such as grungy dive bars, artfully disheveled cafés, and cutting-edge galleries and arthouse cinemas. But there are also thumping dance clubs and elegant cocktail bars aplenty, so whatever your idea of a great night out may be, you’ll find it here. 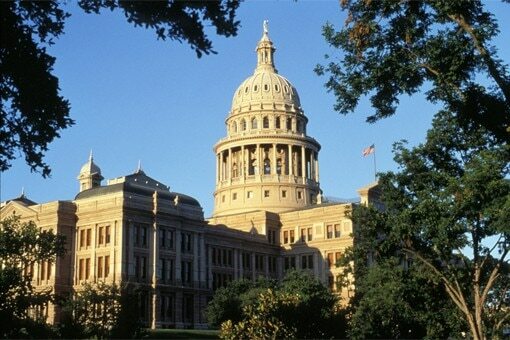 The Texan capital offers an amazing wealth of attractions and activities to keep kids of all ages enthralled for days. There are mindblowing museums that turn learning into a thrilling interactive adventure, magical amusement parks offering hours of adrenalin-charged fun, and opportunities to get up close and personal with animals from every corner of the globe. Laid back and proudly eccentric, Austin has long been a haven for creatives and free thinkers of all persuasions. Today the Texas capital is renowned for its world-famous cultural events like South by Southwest and the Austin City Limits Music Festival, along with groundbreaking galleries, hip live music venues, and quirky arthouse cinemas. Austin’s countercultural vibe means the city has a compellingly diverse range of retail hotspots. From quirky independent clothing stores to top-end fashion, and bijou boutiques and flea markets to outlets and malls, Austin offers something for every type of shopper. Food-lovers can splurge on delectable dining at the trendy, locally-sourced delicatessens and groceries. Vintage-vultures can race through market stalls in search of a bargain, or spend hours leafing through novels at the large bookstores. Austin is the gleefully eccentric and free-spirited counter-cultural hub of Texas. It's surrounded by dense parks and creeks, while the urban center itself is a magnet for culture-vultures and anyone looking for a good time. The streets reverberate with the sound of jazz and country music, while bohemian musicians, artists, and students enact the local pledge to ‘keep Austin weird’. You'll soon see why it's such a popular destination for oddballs and ordinary folk alike. Austin boasts a proud food culture that ranges from top-of-the-range establishments to funky food trucks serving mouthwatering takeaway. There are 2 main types of cuisine in Austin - Mexican and Barbecue. In fact, there's a city-wide frenzy over spicy Mexican cuisine in all its variations - from authentic regional dishes to delectable Tex-Mex specials. Lovers of American-style home-cooking won’t need to look any further than the raft of barbecue, grill, and steakhouse restaurants. Bats and barbecue, rockin’ rockabilly and swinging country – Austin revels in its nightlife. Get the full experience after the sun sets with this guide to the best of Austin nightlife. Lively music festivals, spicy Mexican dinners and hillsides awash in wildflowers highlight a springtime vacation in Austin. Book a spring hotel in Austin and discover its seasonal pleasures. You can’t see it all on a short getaway in Austin. Take in the best experiences with only a few nights in an Austin hotel by following this lively itinerary. Choosing where to stay for your Austin city getaway will help make your visit stress-free. Book the right Austin hotel with this guide to Austin’s neighborhoods. Cozy cabins by the water, world-class golf retreats and rejuvenating spas – choose your theme with this guide to the top 10 hotels in Austin. The Texas capital is eccentric, friendly, and thrillingly diverse. It’s the self-proclaimed Live Music Capital of the World, with more concert halls and dive bars than you could ever hope to visit. It’s also increasingly a major player in the film and technology industries, ensuring a cosmopolitan, forward-thinking vibe throughout the city. With a host of awe-inspiring cultural attractions, and a deliciously unpredictable restaurant scene, you’ll never run out of exciting new things to see and do.